Rain and snow thaw has raised rivers to a un fishable state again this week end. With continued rain and snow in the forecast ,its gonna be a more than a few days before river will fish again. Keep a eye on flow rates before heading to the river. 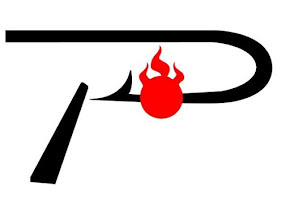 ***NEW***tip #2 If you use a landing net a quick spray of Pam cooking spray the night before will keep you net from freezing all most all day. Thursday morning slush and rain wont ruin this week ends steelhead fishing. Most tributary's are dropping and will be perfect this week end. High water and mild temps will bring in another run of fresh fish. Minnows ,spawn as well as egg patterns will all be working. Fish will be spread threw out the system. Look for the fishing to peak in the warmest part of the day. ***NEW*** I will be trying to add tips and tricks with every post to make every ones day on the water a little easier. Tip#1 Really doesn't matter if you fly, pin or spin clean lines work the best. Make a quick wipe down with a Cortland cleaning patch or fly line cleaner and your line will: mend better, float higher, cast farther and help keep guides from freezing in temps below freezing. 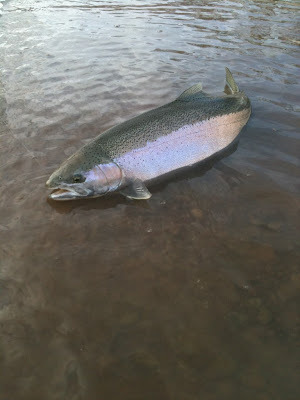 With warm weather coming early next week we should see more high water and another run of fresh fish. The key is getting out in fish able conditions because here on the Great Lakes it changes almost daily. 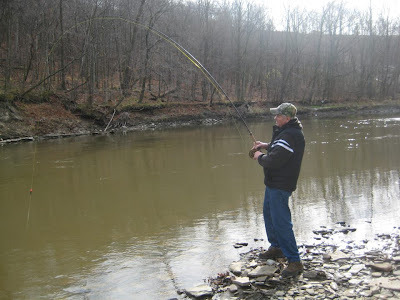 With melt of coming look for river temps to drop and fish to be in they're winter holes and tail outs. Spawn are spawn imitations are still top dog in these temps. Winter has finally hit the Great Lakes Region. Gloves ,hats and a extra pare of thermos will be required the next few days. Steelhead fishing will remain good with the next warm front ,just days away. With run off, and rain in the forecast early next week we should see another fresh push of fish. 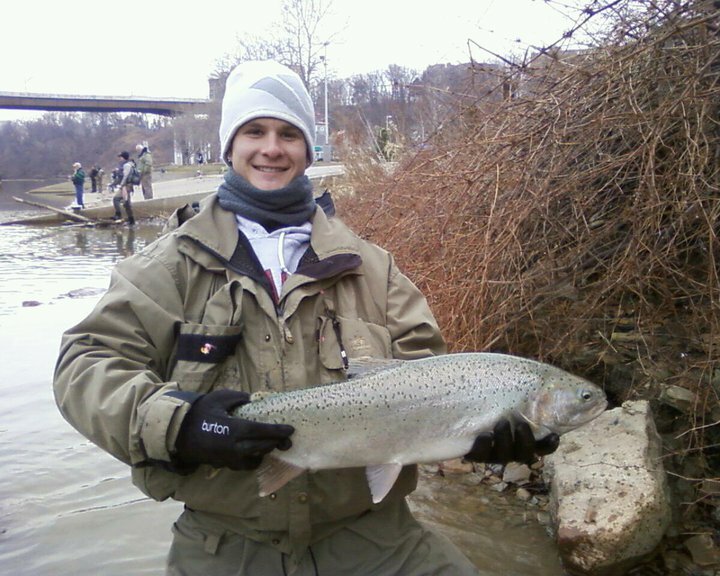 Warm temps and great water conditions were a welcome surprise for this time of year. Spent the day on Vermilion with a new-b pinner yesterday. The fish were spread out with a fish here and a fish there. The farther you walked the more fish you found. 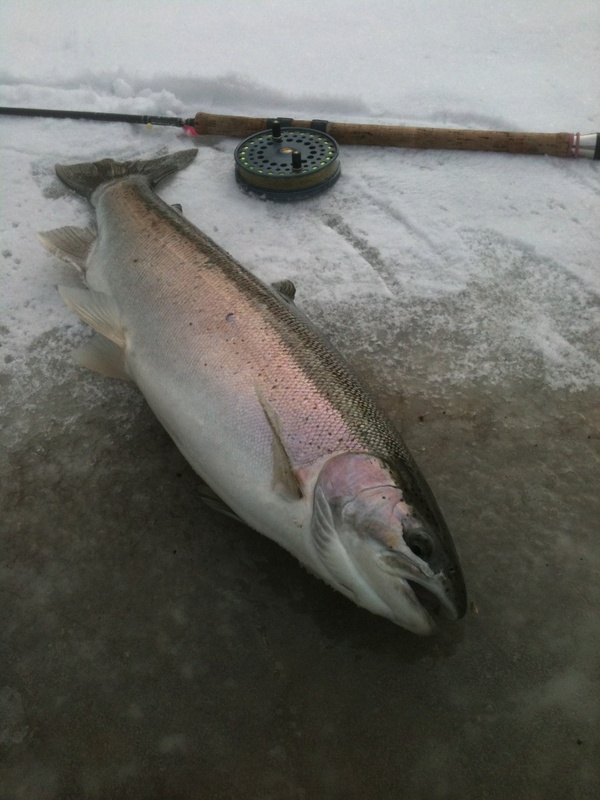 Fish were taking Great Lakes Trick'em beads and spawn. With rain coming another fresh push should be on its way. Rivers on the West side are dropping and will be going go low and clear without more rain. 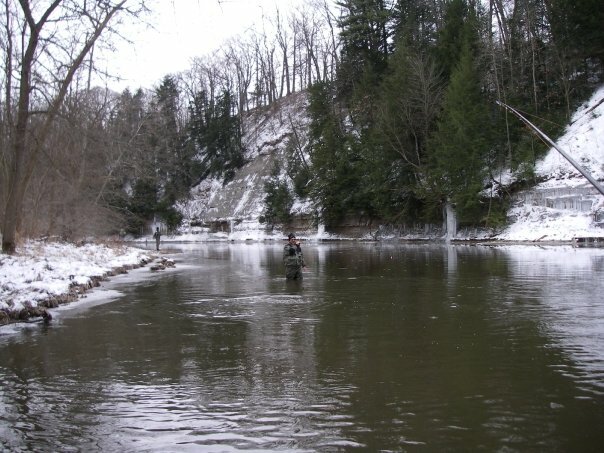 Fishing will remain good with lots of fish in the system. 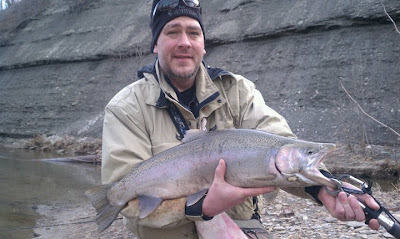 East side rivers are dropping and should be fishing good or the next few days. Fish are spread threw out the system so cover lots of water. Warmer temps are melting snow and rivers are rising. Look for western tributary's to fish first. With water warming ,fresh fish are moving up river. Fish will be spread threw out system. With the warm up setting in, steelhead fishing will be heating up. We will see fresh fish pushing as well as the activity level increasing with the fish already in the system. Grand is a day out but all other rivers are looking good. Lots of baits was well as flys should be good. Look for fish in tail outs in the morning slush and fish should move up as temperature warms the water by mid afternoon. There is also a bonus of big fish in the system ,so hang on and have fun.